Jury Trials Are Vanishing. Here’s Why We Need Them Back. I am not thinking about trial by jury these days because I have done anything wrong, and think that I may need to avail myself of one. I am thinking about it because of a New York Times article describing the vanishing of jury trials. Believe it or not, this trend affects us all, whether we are dealing with the legal system or not. How? Well, for starters, any time people stop availing themselves of their constitutional rights, including trial by a jury of our peers, we should probably take notice as rights tend to be valued or devalued together. When some go, others typically follow. In this case though, it is especially significant, and it’s all about empathy and trust — the bedrock of society. The notion that people should be guaranteed a trial in which ultimate authority rests not with a single judge — one often separated from the accused by class or life experience — but with a group of one’s peers, speaks to our commitment that all people are equal before the law, and that those sitting in judgment should be connected to those be judged, not just sitting above them. At the very least the right to a jury trial was meant to avoid favoritism for those with whom judges were more likely to identify. But more than that, jury trial, when working at its best, is actually a beautiful notion. 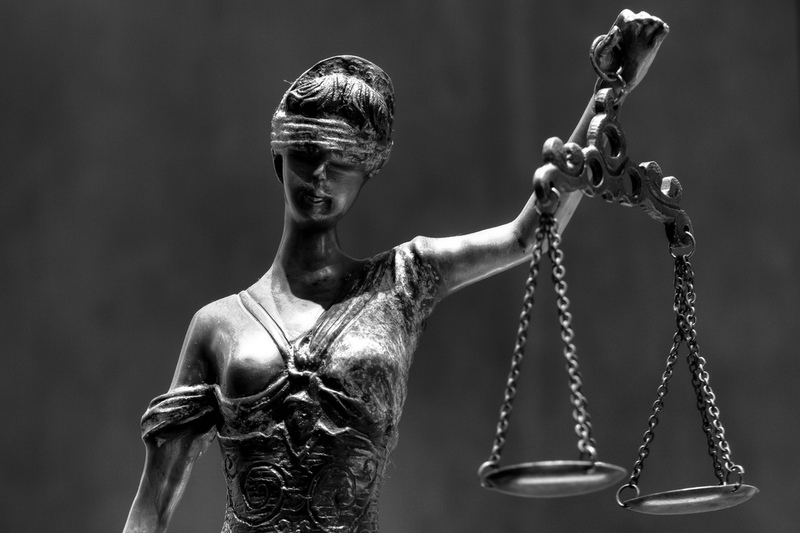 It implicitly recognizes that justice is almost inherently contextual, virtually always a matter of some interpretation, and that the interpreters should identify with both the the law as written and with the accused who is supposed to have violated it. At its core, trial by jury upholds the notion that justice is best served when it combines both enforcement of rules and genuine empathy for the accused. Take away trial by jury, and we are left with the notion that justice could be done by machines, applying already defined codes with no human element involved. According to Times reporter Benjamin Weiser, that is exactly what mandatory sentencing has done to our justice system, and reliance upon those guidelines is almost certainly one reason that jury trials are increasingly rare. One reason to be sure, but not the only reason, as even people who are not subject to mandatory sentencing are opting out of a jury of their peers. This where the trust issue comes in. Why would someone, especially someone who, like most accused criminals, has less money, power and education than those who will decide his fate put himself in those hands rather than the people who are randomly chosen for jury service? I can’t help but wonder if it isn’t because despite the likely similarities with those in the jury box, people feel increasingly less connection and trust, even with those living lives more like their own. They don’t fundamentally trust the power of peer-ship and the equality and even empathy that it is meant to assure. I don’t know what to do about this, but I know that this is another one of those social trends that points beyond itself to something that affects us all. I know that laws alone, however efficiently enforced and violations punished, cannot make us safe and secure. While laws and their enforcement are certainly crucial components of any great society and the safety and security they promise, the bonds between citizens — the trust and empathy they have between and for each other, are at least as important. The choice to get hearing from one’s peers — a jury trial — speaks to the presence of that trust and empathy. Its disappearance, not so much. So while the jurists can discuss the trend further, I just hope we do all we can to rebuild social trust wherever we can, and whenever we can. If we do, I suspect that jury trials will make a come back but even if not, I know we will all be better off.